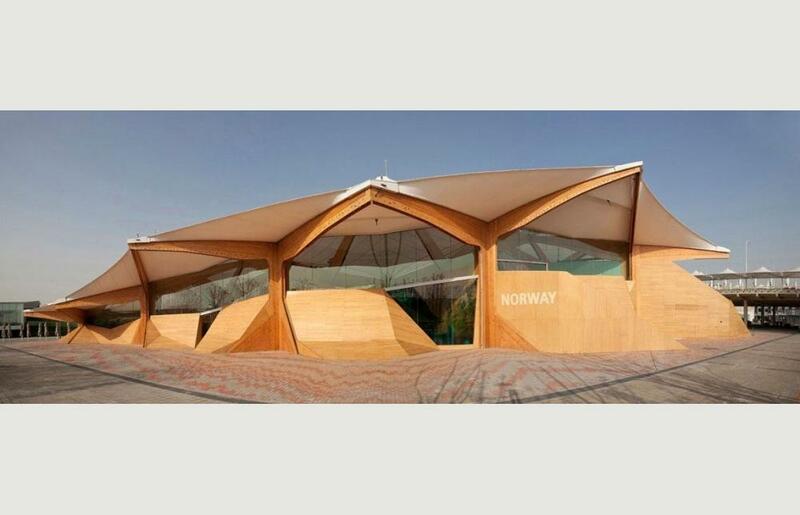 More »Norway – Powered by Nature Expo 2010 Shanghai has adopted sustainable development as its theme. Consequently, concepts legitimising the extensive resource use, and the major investment of a World Fair must be promoted. “Norway – Powered by Nature” directly engages this challenge, placing emphasis and awareness on multiple aspects of sustainability. 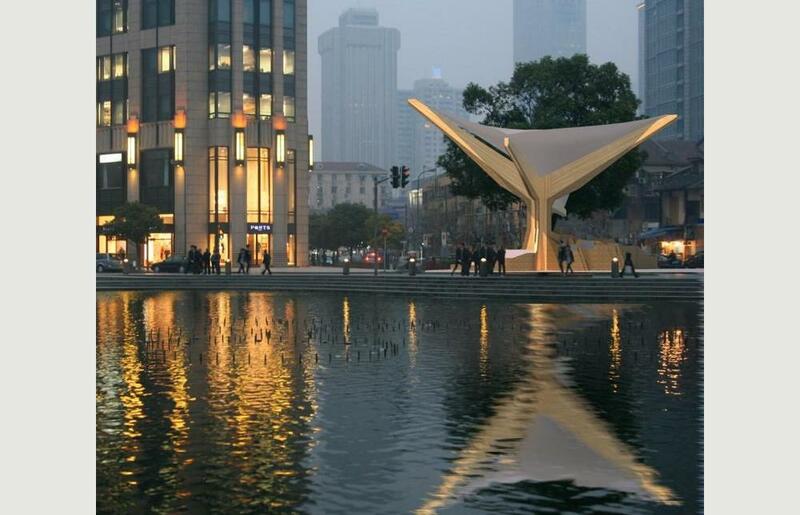 City – Nature: China’s exponential urbanization demands reconsideration of both natural and human resources. 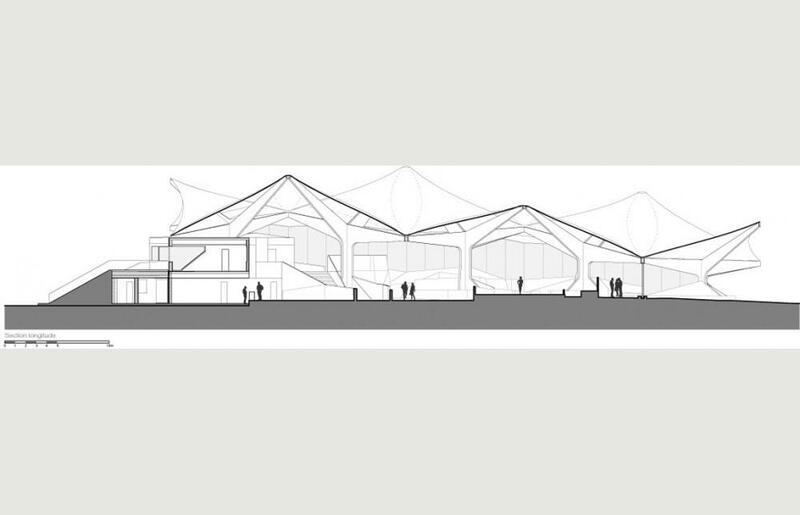 The pavilion responds with an architecture facilitating social sustainability, healthy public recreational areas and environmentally friendly urban design. 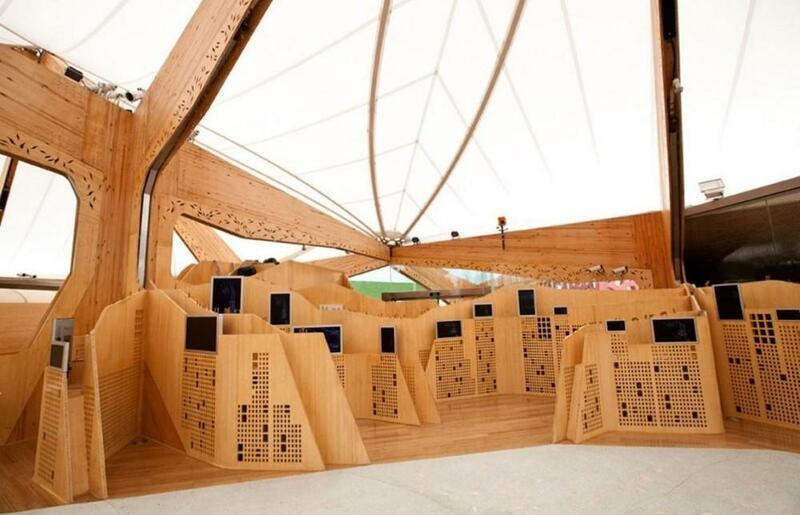 The pavilion consists of 15 assembled “trees” which create a sensory and multifunctional “forest” – a landscape encouraging physical and social activity while promoting sustainable principles. 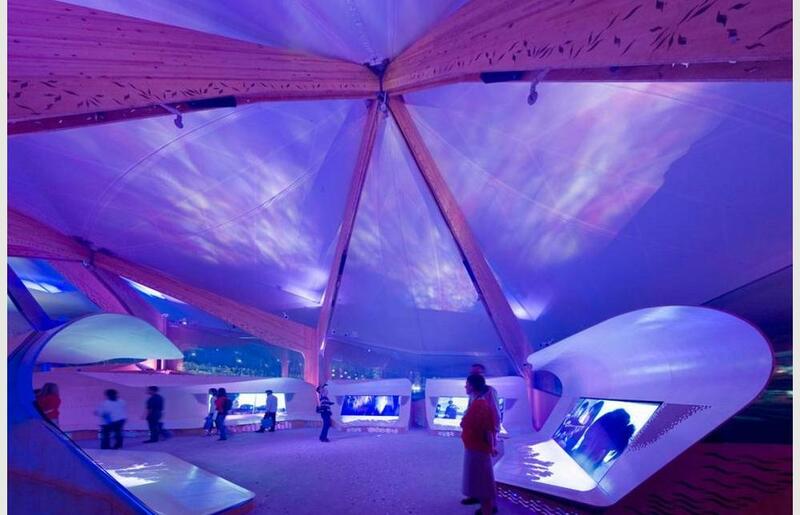 The principal structure, made from environmentally sound wood and bamboo, is integrated with technology to provide water purification, air conditioning and solar energy, as well as exhibition elements. Future use A sustainable future use is not just about re-using materials, but also about understanding long-term cycles. 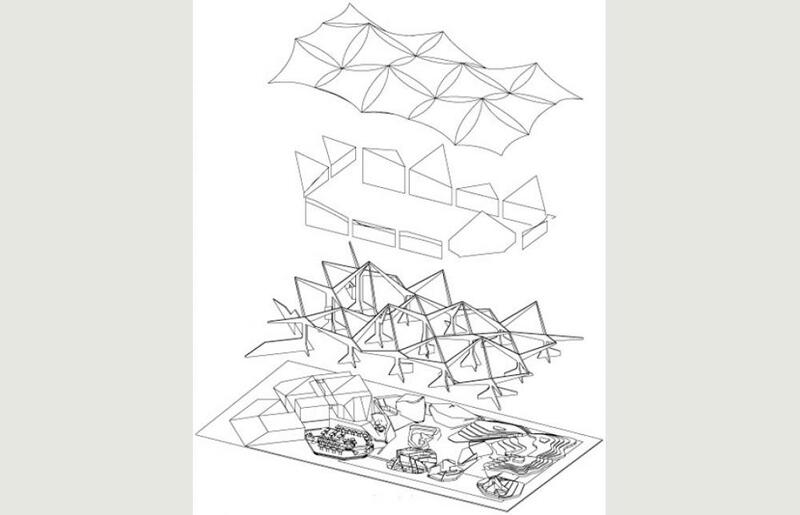 Within this framework, the pavilion is assembled from a prefabricated kit of 15 autonomous trees. After the Expo, each of the trees in the exhibition will be dismantled and relocated for reuse, either individually or as a group. 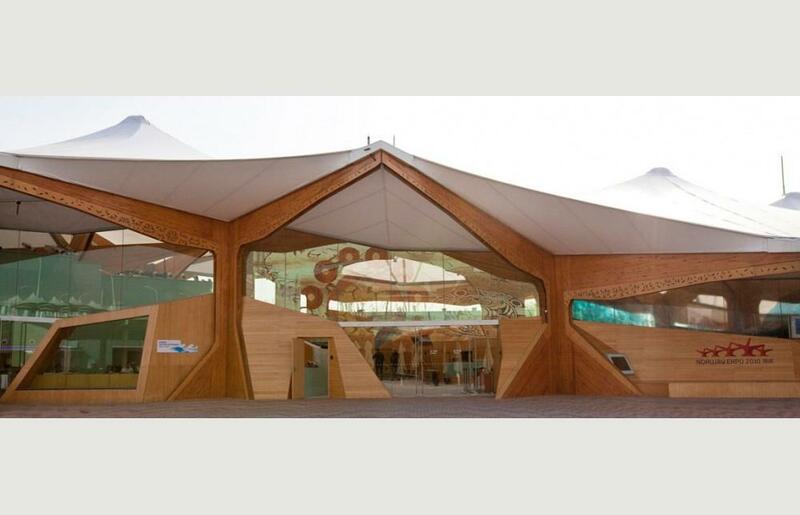 Materials The use of laminated timber for the main construction diminishes its environmental impact. A renewable material, timber can benefit the environment through the CO storiage2 and easy decomposition and assimilation into new cycles. Each tree consists of a fabric roof, four “branches”, a “trunk” and “roots”. The components of the 15 trees can be packed flat to make optimal use of space during transport. 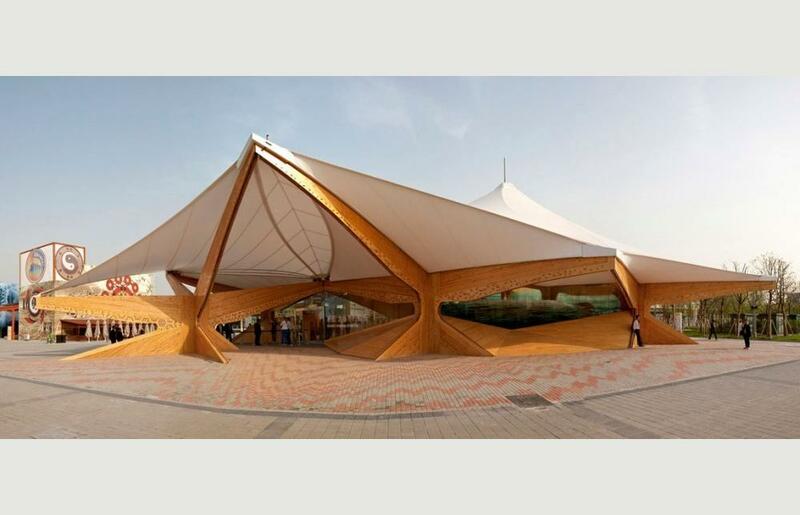 GluBam, a new Chinese product developed from glue-laminated bamboo, is used for secondary supporting structures, the exhibitions and most interior surfaces. 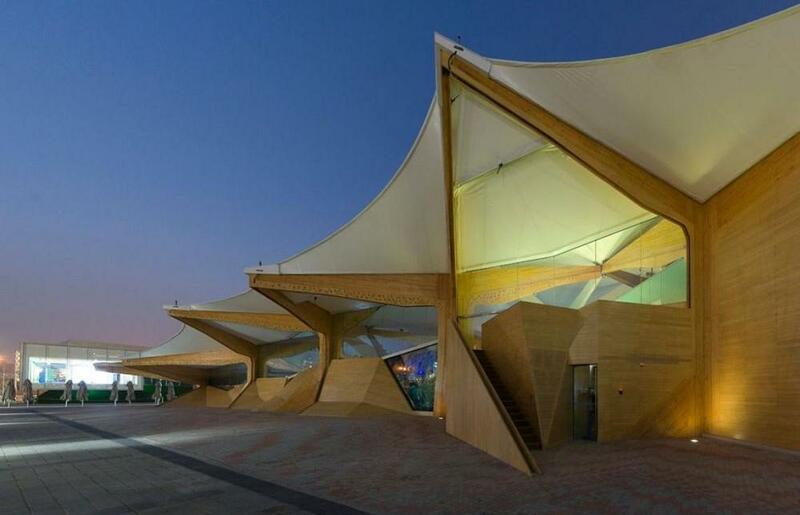 The roof of the pavilion is a four point sail – membrane construction. The fabric shades against direct sunlight while admitting diffuse light, saving energy for interior lighting. The fabric reduces structural bulk, and is easy to transport and re-use. Energy Low-energy drives the design: solar panels, water collection and adjustable air vents are all integrated into the architecture. Norway is at the forefront of water purification technology: these systems purify rainwater collected on the pavilion roof. This technology is made visible and understandable to the visitor, who is invited to sip the cooled, clean water. The ventilation system uses natural motive power (chimney effect plus wind). Landscapes In Norway, nature and cultural activities are closely and distinctively interrelated. The exhibition draws from this relationship both through the design of the spaces, and in films playing beneath the trees. The roots of the trees are shaped to echo four characteristic Norwegian landscapes: the coast, the forest, the fjords and the arctic. 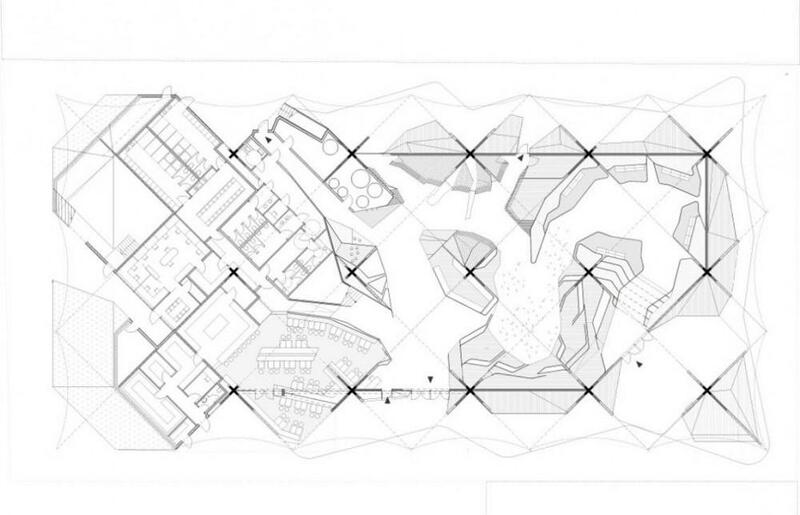 Spatial characteristics and the intrinsic qualities of these landscapes form the foundation for the design of the interior spaces. 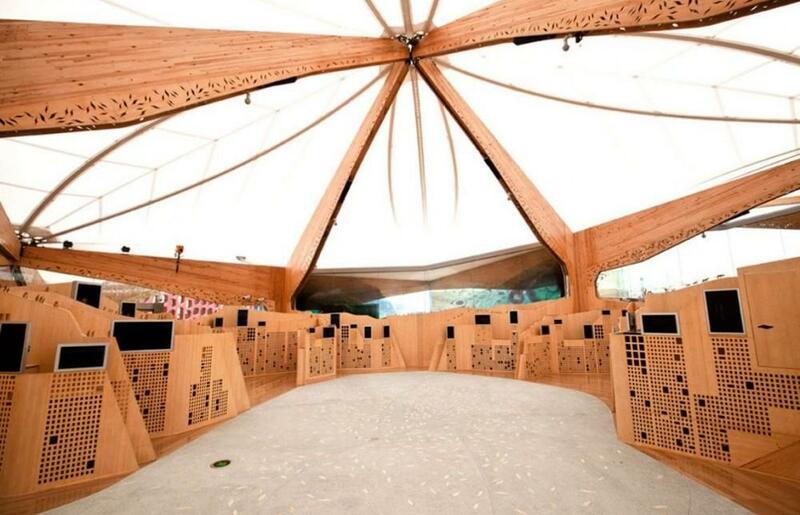 The infrastructure is also integrated into the roots, with ventilation chambers enclosed by CNC-cut Glubam panels perforated with nature-inspired patterns. 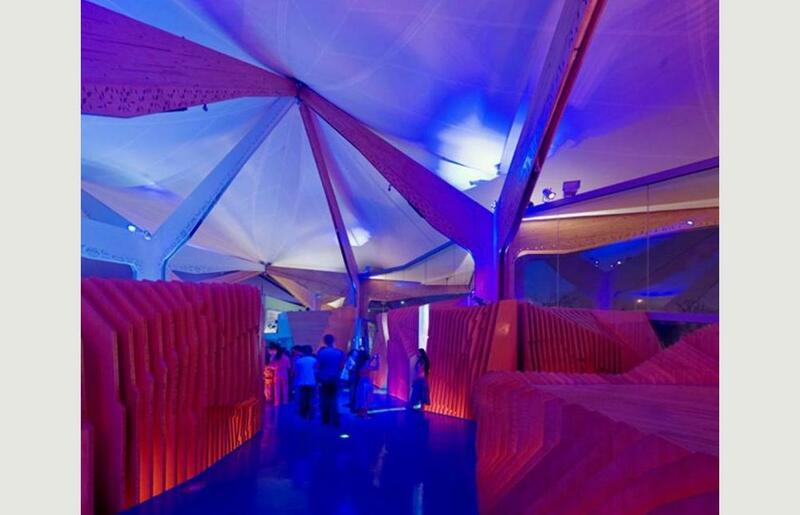 The pavilion evokes a multi-sensory experience, using a combination of visual, tactile, auditory and physical stimuli to create scenographic spatial sequences.